A green smoothie is a quick and delicious way to consume more vegetables. However, to make it you need the right type of blender. Let’s see how the top 15 models stack up against one another and meet your smoothie making needs. In a hurry? C﻿lick here to jump directly to our top picks and reviews! 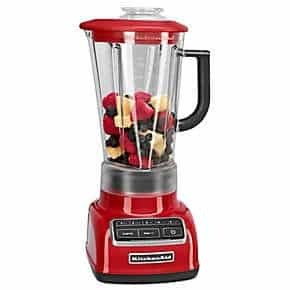 To help you identify the best blender for your needs, lifestyle and budget, this review offers a comparison of high end, midrange, and lower end blenders. And, we have included only those blenders that excel at smoothie making. While we avoided reviewing the bad choices, any of the models listed here have proven to be a quality option, according to our own experience or verified user reviews. Why does choosing the right blender matter? 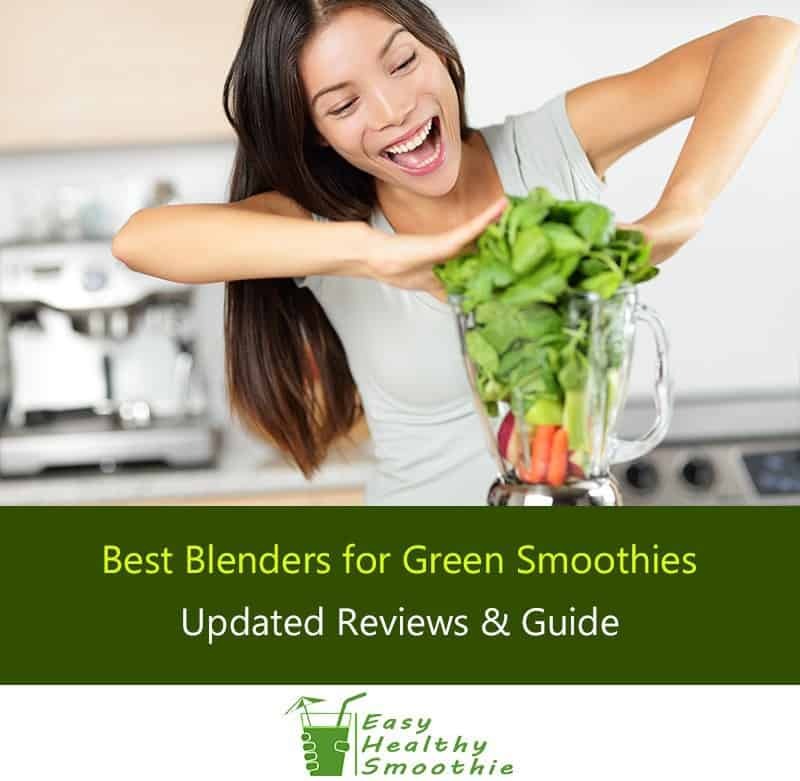 A quality blender that's good for green smoothies whips up quick, healthy beverages that have a silky texture, while lower quality blenders produce coarser drinks with chunks or veggies particles. The good ones are better at handling leafy greens, tough ingredients and ice. A poor blender purchase leads to frustration which stops progress in its tracks. Think, for example, about those hard-to-clean models. After all, few of us have the time or patience to persist through returns and exchanges. This is why smoothie blender choice is crucial and falls short of one-size-fits all. In other words, it is important to choose the right blender for you. Or, do you long to shed a few pounds? Maybe you need to add healthy weight through muscle? Will you work toward your goal solo? As a family? Or, with friends? Your health goals and the motivation behind them prove unique. While friends may head in similar directions, the needs and endgame, struggles and victories look different in many ways. What to look for in a blender for green smoothies? Discovering how to buy the right blender for you requires knowing your healthy eating needs and your expectations of this appliance. With this in mind, consider the following features when shopping. Whether you want to create single serving smoothies or whip up a larger recipe for friends plays into your choice of blender. Counter space or cabinet storage requirements determine which blender offers you the best solution. The physical size of an appliance begs you to consider the potential challenge of navigating around it on the counter, sliding it under cabinets or storing it out of sight. 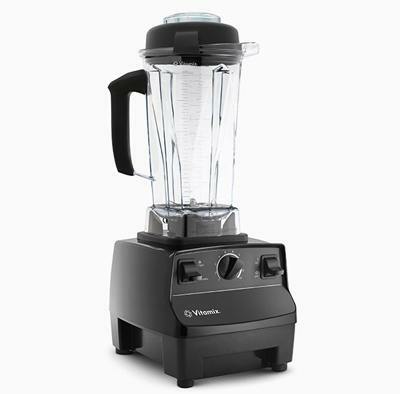 Also check out our review of the Vitamix e310 blender. Researching a blender’s intended uses determines its effectiveness for you. For instance, was it designed to chop ice? Was it made to juice or simply blend? The ability of a blender to create the recipes you enjoy rests primarily in its power (measured in watts or horsepower). When assessing durability, the motor is only one aspect to consider. After all, if the container cracks easily or other parts fail, your fitness goals soon become interrupted. Also, read carefully any warranty as to what it covers and for how long. Not all warranties are created equal. 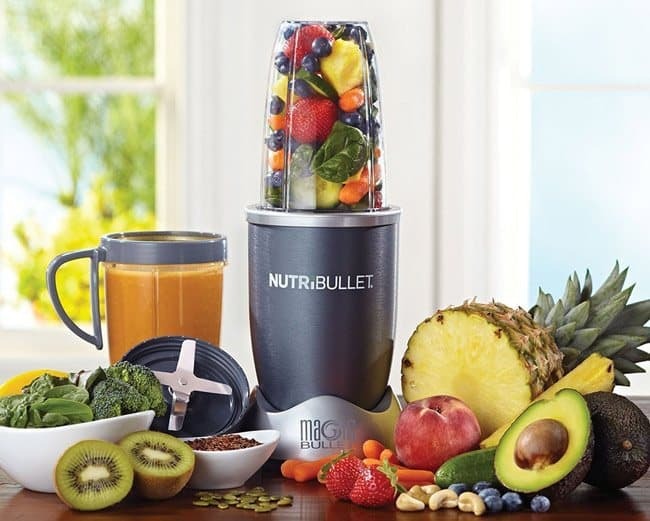 The power and single blade of the Blendtec quickly blends ice, nuts, fibrous vegetables, fruit peels and frozen fruit for personalized smoothies. 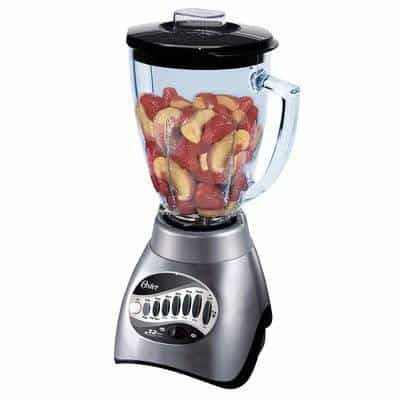 Powerful 1560-watt motor to blend tough ingredients into a smooth texture. Very effective stainless steel blade crushes ice effortlessly. Versatile to handle a variety of recipes. Smoothie preset for hands-free operation. Digital touchpad controls make cleaning easy. Some customers complained online about container quality. Read our full review of the Blendtec Total here. The power of this Vitamix makes it perfect if you’re looking to make smoothies in larger batches with any ingredient. 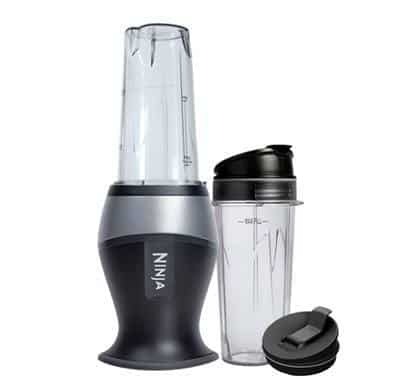 Customers praise the quality and durability of this model as well as its work as a smoothie maker. However, some didn’t like admit frustration with removing thicker substances from the jar. Performs well on a variety of recipes. Stainless steel, three-inch blades ensure blending consistency. 2-HP completes most jobs in less than one minute. High speeds heat ingredients for quick soups. Blades at the top and the bottom of the Ninja Ultima produce creamy textured beverages. But, they are sharp and dangerous especially in the top position. Nutrient extraction technology gets the most vitamins and nutrients from fruits and veggies. Powerful motor and two blades at varying speeds breakdown ice, whole fruits and veggies. Variable speed and Cyclonic Technology create consistently creamy smoothies. Three one-serving cups with lids offer smoothies on-the-go. Some customers complained about its noisiness. Smoothie lovers looking for the power of a high performance blender at a more affordable cost love the Waring Commercial Blender. In addition, customers praise its durability even given its short warranty period. Powerful 3.5 Horsepower motor handles tough ingredients for consistently smooth results. Removable cap for adding ingredients during blending process. Blade design provides quicker results for the busy. Less expensive high end model. No personal size containers for single-serve smoothies. Only two speeds plus pulse selection. Verified customer ratings indicate the Hamilton Beach Professional Blender is well loved. In fact, four and five star ratings are common with anything lower proving hard to find. 1800-watt power handles ice and other frozen ingredients. Four programmed settings offer thought-free smoothie making. Variable speed dial plus pulse control for greater precision over consistency. Lack of single-serve smoothie container. 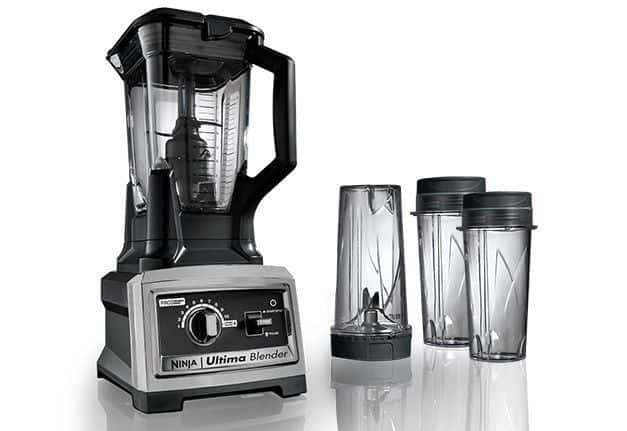 These are the 5 blender models that constantly get the highest user ratings and reviews, among the selection of mid range blenders available. Rave verified reviews from customers say they love the power of the Ninja Professional Blender for daily smoothie making. Plus, the versatility of single or large serving sizes is popular. Single serving and large container offer user versatility. Nutrient extraction for power-packed smoothies. This original NutriBullet blender still packs a punch with the nutrient extraction technology health connoisseurs love. With personal size containers, this model proves ideal for the on-the-go smoothie drinker. Some customers question its durability, though personally we’ve had nothing but good experience with this one. Personal size containers prove convenient for on-the-go smoothies. 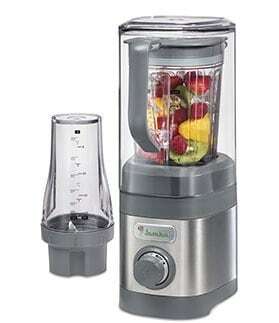 Blends five servings of fruits and vegetables per container. Extraction technology gets more nutrients into the drink. Works well for making simple smoothies. Some customer reports of leaking. Zip and UnZip your Files with Ease. Download WinZip - #1 Rated Compression Software. Zip and UnZip with Ease. The KitchenAid 5-Speed Blender has the power and blade design to handle the tough job of crushing ice for those desiring chilled smoothies. For the moderate price point, customers tend to believe this model rivals higher end brands. Five speeds and pulse offer you control in smoothie consistency. Slow blade start and sensing feature produce smoother results. Easy to clean with dishwasher safe container and flat control panel. Moderate price with higher end performance. Some customers report problems with plastic gear. 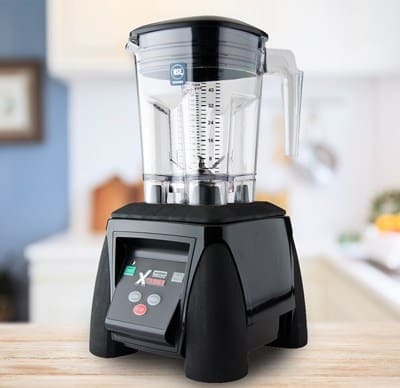 Verified reviews of the Jamba Appliances Quiet Shield Blender run consistently high as customers love the high power and speed control of this model. Tougher smoothie ingredients such as hard ice, frozen fruit and nuts blend smooth. Extra quiet when used with the quiet shield. Motor, though not as powerful as high performance models, prove powerful enough to crush ice and tougher ingredients. Variable speed dial and pulse control prove easy to use. Serving versatility with 32 and 20-ounce containers. No large container for bigger batches. No presets or auto shut off for quick, hands-free operation. 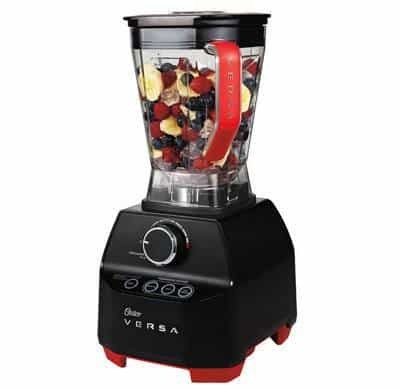 A good bang for the buck, the Oster Versa Pro Performance Blender offers more than enough power to combine ice, nuts and seeds for smoothies plus any additional blending needs you may experience. In other words, this model brings you higher end quality at a mid range price point. 1400-watt power and stainless steel blades crush ice and tougher ingredients. All metal drive offer durability and longevity. Three programmed settings plus pulse give you flexibility to blend to your preferences. No single-serve smoothie on-the-go container. Being on budget doesn’t mean you shouldn’t be able to enjoy delicious smoothies. We’ve selected the top 5 blenders that constantly get the highest user ratings and reviews, as well as the ones our team members personally use in their kitchens. Customers praise the Ninja Fit for working as powerfully as its big brother but in a smaller size. The portability of this model works well for those needing to maintain healthy eating at the office, gym or while traveling. 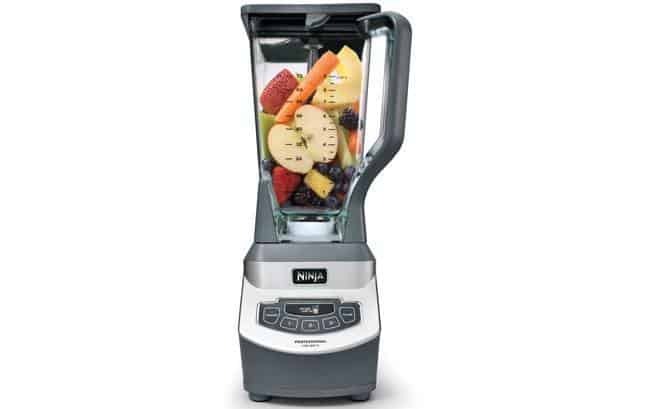 700-watt power blends most smoothie ingredients without grit. Nutrient extraction to ensure you get the healthiest results. 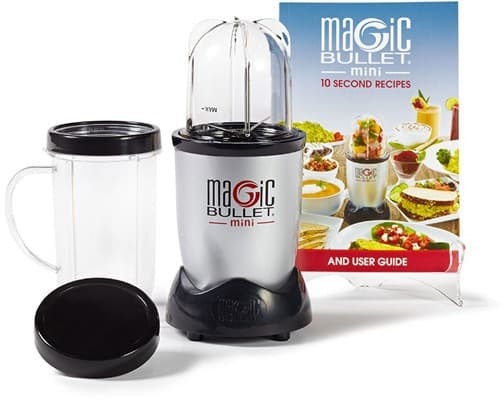 If you are single or if you only want single smoothie servings, this Magic Bullet Mini is for you. And, its portable size keeps you healthy no matter your location. Quick 10 second smoothies for the busy. Portable and backpack friendly for health away from home. Great for liquid based ingredient smoothie recipes. Does not work well with ice. 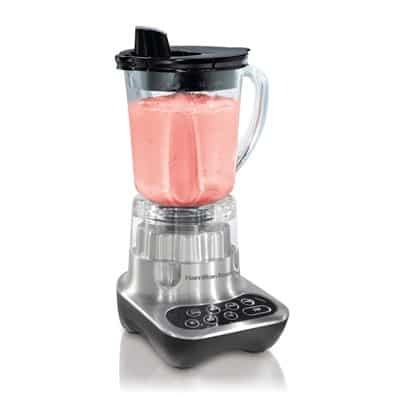 The Black+Decker FusionBlade blends soft ingredients into delicious, chunk-free smoothies. However, if falls short in handling tough or dense foods which require extended time to reach an acceptable consistency. 550 watt motor and blade design handle leafy greens quickly. 12 speeds to find a just-right smoothie consistency. Lid insert for adding ingredients while blending. Heavy duty glass jar with a pour spout. Internal cord storage keeps the counter neat. Takes long to blend dense foods. The Hamilton Beach Smoothie Smart Blender lives up to its name in smoothie making. With the convenience of a one-touch button, this model indeed creates the perfect smoothie. However, customers reported that handling ice is not one of its strongest capabilities. One touch operation lets you walk away while blending. Five speeds for increased control over the results. Blends hot and cold foods. In general, customers like the power and blending consistency of the Oster 12 Speed Blender. For many, it proves a budget-friendly option with the performance of pricier models. 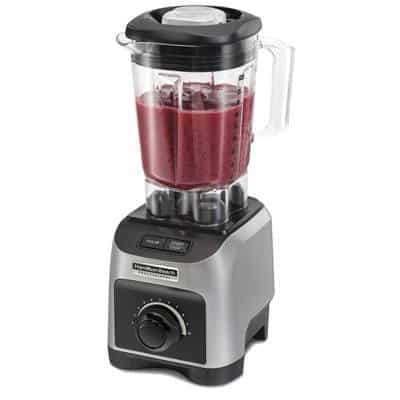 Power to blend ice and frozen fruits to a chunk-free consistency. 12 speeds to get the results you want. Creating healthy smoothies and sticking with your fitness and weight goals becomes much easier when you’ve got the right blender to your aid. Choosing a model that fits your needs should prove a wise investment over the long haul. 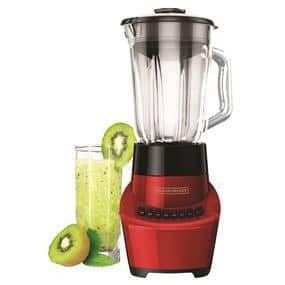 An easy to use blender that produces smooth textured beverages will compel you to keep coming back. How to be sure you’re choosing the best blender for healthy green smoothies - not all blenders are created equal! Read our objective reviews of the top smoothie makers available.